EXTRA NICE ONE OWNER OFF-LEASE ESCAPE 4X4, READY TO BE YOUR NEXT VEHICLE! THIS BEAUTIFUL ONE OWNER CLEAN CARFAX ESCAPE IS NICELY EQUIPPED WITH THE OPTIONS YOU ARE LOOKING FOR. 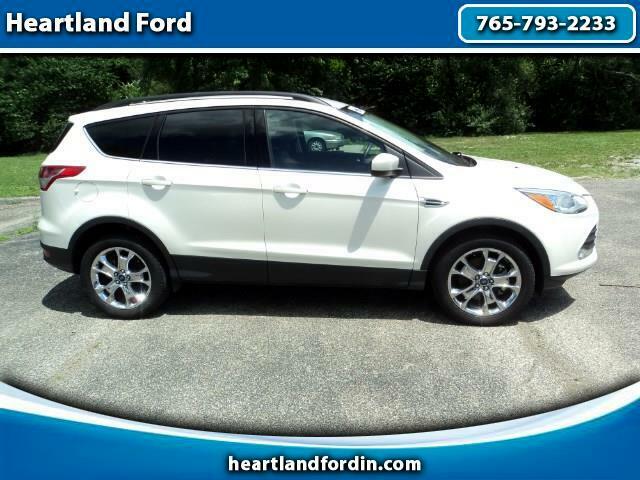 HAS HEATED FRONT SEATS, MICROSOFT SYNC SYSTEM, REAR BACKUP CAMERA, CHROME CLAD WHEELS WITH LIKE NEW TIRES, POWER OPEN/CLOSE REAR HATCH, POWER SEAT, REMOTE ENTRY... WELL CARED FOR ESCAPE THAT IS HARD TO TELL IT'S NOT NEW, EXCEPT FOR THE PRICE! STOP IN AND TAKE A TEST DRIVE TODAY!